IN THE YEARS I’ve spent climbing mountains, descending into canyons, and generally getting into all sorts of adventures, I’ve rarely run into another person of color in the outdoors. 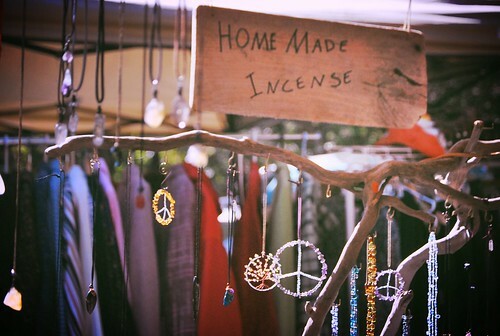 by BANI AMOR June 7th 2013 Originally published on Matador Network. Please comment and share! Skimming through the travel glossies that so captured my young imagination revealed images of white people doing what society defined as white people things: hiking, camping, climbing. This vague and at once startlingly direct message from travel media and society at large left an impression on me — a Latino city kid — of total exclusion. Despite the lack of role models in the outdoors industry, I flung myself into it, with hopes that the next generation of youth of color would find a wild world waiting for them if they only were given the opportunity. If they just saw one other person like them doing it, too. It was after hearing about Expedition Denali that I finally felt like this could become a reality. This June, 100 years to the month after the highest point in North America, Mt. McKinley (Denali), was first successfully ascended, the first team of African-American climbers will attempt the summit. 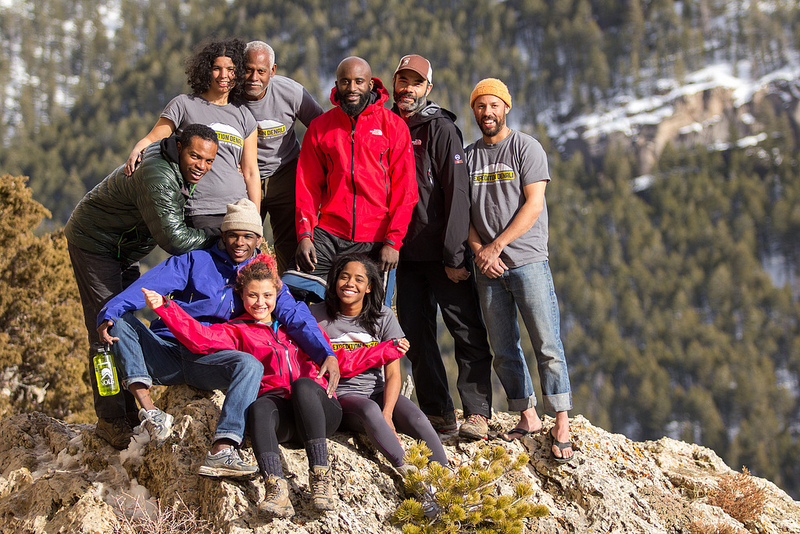 Besides making history, their expedition can pave the way for a new generation of young people of color to get outside and become stewards of America’s wild places. Thanks to the success of their Kickstarter campaign, a documentary film crew will be chronicling their journey, and a book is in the works. I recently had the chance to speak with team member and 20-year-old alpinist Rosemary Saal, to talk about inspiring diversity in the outdoors with Expedition Denali. BA: How long until the expedition now? RS: Just short of two weeks! I can’t believe it. BA: How do you feel now that it’s so close? RS: “Pumped” is the first word that comes to mind! Nerves are definitely building up a bit as well, but mostly nervous excitement.BA: On other expeditions — comprising mostly white folks — they’ve got to overcome the altitude, cold, physical exhaustion, etc. They’ve got to climb the mountain. But you guys are representing your race and, you know, climbing the mountain. And not just any mountain — a 20,320 foot-high one. Do you feel the pressure?RS: Only slightly, I’ll admit. The media attention is the main source of pressure, just knowing that the entire expedition will be meticulously documented. But then I remember that this pressure-inducing-exposure will greatly help the whole purpose of the project, and my confidence in this team is reassured.BA: You’re definitely following through with what seems to be the goal of the project, to get the word out and inspire other people of color, mostly young African-Americans, to get out ‘into the wild.’ A 2010 survey revealed that over 80% of Americans who engage in outdoor activities are white. Any idea as to why that is? RS: I feel that many people of color have the mentality that we do not “belong” in the outdoors. When the sport was first being developed and explored, the traditional participant was a white male. For some reason, this image has stuck in the minds of many and in actuality has not changed significantly. BA: As a teenager into punk rock, I was branded as being into “white people stuff” by family and friends. Maybe some POC are hesitant about losing their ‘race badge’ or something. Like it’s easier to fully belong to one community than take the initiative to be different and risk not really belonging to any group. Is Expedition Denali trying to change that story? RS: Absolutely! It is stereotypes and labels such as those that perpetuate the notion that POC do not have a place in the outdoors or the means to embrace nature. We seek to shift that view, or at least begin to. BA: You’re breaking down all sorts of boundaries. Your team is incredibly diverse — from teenagers to elders from all over the States, many of whom are women and mixed-race folks. You represent a whole range of the Afro-diaspora. RS: We most definitely do! I am very proud to be a part of the diversity within this team. BA: It’s very refreshing. On the other end, I was a bit surprised that in James Mills’ Nat Geo profile of you guys, he felt compelled (by an onslaught of ‘post-racial’ rhetoric from the majority white climbing community) to explain the critical necessity of an expedition of this sort. Have you had to answer to comments like that, too? RS: The team has had to answer to such comments, yes. There are a few skeptics out there who do not see the necessity or significance of this expedition. BA: What do you say to them? Or is the message of this expedition just not for them? RS: We simply acknowledge and stress that this expedition aims to change the views of one aspect of the outdoor industry. While there are many issues involving ethnicity, socioeconomic class, etc. concerning the industry, it would be an entirely different story to tackle and make an impact on them all. BA: They should look at the facts: By 2018 the majority of youth in the United States will be of color. Considering that most of them are not spending much time outdoors, a message of inclusion would seem imperative to any environmentalist or climber. RS: Absolutely, a message of inclusion and a set of role models. BA: Considering all this stigma, how did you first get involved in climbing? RS: My involvement in climbing proceeded quite naturally. I always enjoyed climbing on anything I could get my hands on practically since I could walk. I was fortunate to be exposed to resources in an environment that introduced me to technical and more “official” climbing opportunities before I was really aware of the stigma. BA: The way it should be. RS: Exactly! I totally agree. That is one of the reasons I’m particularly excited to spread the message of Expedition Denali to youth of color. Hopefully they can see this story and realize their ability to get outside before being exposed to the stigma surrounding this topic. BA: Finally, what does it mean to you personally to be a part of Expedition Denali? Most importantly, however, I am really looking forward to being a role model, to going out and providing an example of how POC truly do belong in the outdoors as well. I had wonderful role models and mentors when I was first getting involved in climbing. I wish to be that person, inspiring and encouraging the next generation the way I was inspired and encouraged. RS: I know right?! It’s absolutely bonkers! I could not be more stoked. BA: It’s a very vivid, beautiful metaphor. In a way, you’re carrying a lot of folks — folks like us — to the summit with you. It sounds like you see that as more of an honor than a burden. RS: I really do. I am so incredibly fortunate and grateful to be a part of this movement. How could I see it any other way? BA: Word. I’m stoked too, and honored that you took the time out of your training to talk today. Say hi to Denali for me! I know you’ll do an awesome job. RS: Thanks girl! I will most definitely send your regards. Originally published on Matador Network. Please comment and share! Previous PostAn Afro-Ecuadorian Artist Collective in SuaNext PostThe Greatest Thing We Possess As Humans! What a great story! This is the first I’ve heard about this expedition and I’m already clicking around to learn more. Just a couple of weeks ago I was hiking with some friends and we passed a Hispanic family on the trail, which got us talking about how rare it is to see any non-white hikers on the trails in our part of Colorado (where the Hispanic population is huge). The positive thing is that we all agreed that in recent years we have seen more POC on the trails, though still few and far between, so hopefully things are moving in the right direction. It’ll be such a positive thing for this strange stigma to be shattered by groups like Expedition Denali and hopefully to get more kids of ethnicities out in the wild! Loved the article! Thank you for heightening awareness to the lack of diversity in ventures such as climbing. I guess for me, I’ve never really thought about diversity or lack of in certain sports. Thanks! Good for you! Keep pushing forward and don’t look back! Great post, and this is a super exciting expedition. I spent 30 days with NOLS in the Alaskan Chugach mountains several years ago and had an awesome time. Also, I agree entirely that we need diverse role models in the outdoor industry. In this same vein, check out Ryan Hudson’s story — he’s on Denali as we speak. Just read Hudson’s HuffPost interview: incredible story. NOLS sounds awesome; hadn’t really heard of them before ED. Thanks! Wow what a great expedition. All the best to those taking part. And what a super blog you have here, Bani. Great subject. I guess I believed this was true before traveling a lot, and I still think it holds in the U.S. But when I saw plenty of locals throughout Latin America mountaineering, diving, etc. etc., then in Africa saw plenty of locals doing the same, I sort of forgot about the bias. But in the U.S. media you see mostly white people doing it because it’s mostly white people that buy the gear. That’s starting to change though, even here in the U.S. I think in Europe it might be similar to the U.S. but it’s been a long time since I’ve been there. Def. I live in South America and hike, camp, travel, etc. with other Latinos, but the U.S. is so different.